morgellons disease symptoms Archives - Morgellons Disease ? 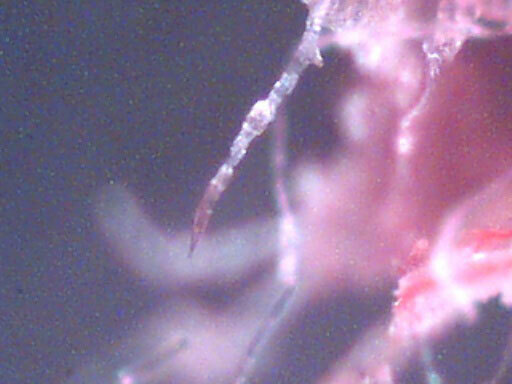 Most individuals with Morgellons disease report disturbing crawling, stinging, and biting sensations, as well as non-healing skin lesions, which are associated with highly unusual structures. These structures can be described as fiber-like or filamentous, and are the most striking feature of this disease. In addition, patients report the presence of seed-like granules and black speck-like material associated with their skin. Fig 1. and Fig 2. below show Fibers emerging from a lesion on child’s lip at 200x. Although skin symptoms are of particular interest to this foundation and are extremely troubling to patients, they are also a vital clue that something is terribly wrong with the body. More significant than skin symptoms, in terms of the diminished quality of life of the individual with this illness, are symptoms unrelated to skin, to include Chronic Fatigue Syndrome (CFS), Fibromyalgia (ME), joint pain, and significant problems with concentration and memory. Remarkably, not all people with this disease have overt skin lesions, as some individuals report intact skin. The troubling sensations and accompanying physical structures, are the consistent clues to this infectious process. How can these unknown fibers be described? The unknown fibers associated with skin lesions can be described as coenocytic (aseptate), smooth-walled, branching, filamentous objects. 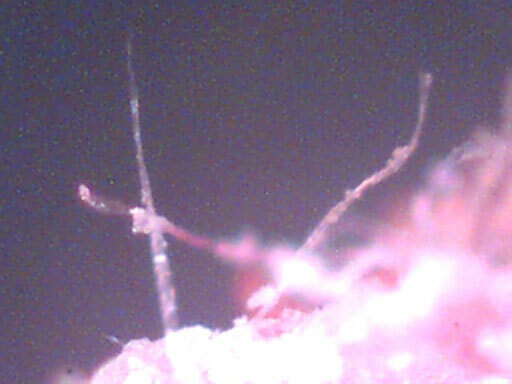 The elongated fibers are often twisted into balls or what appear to be bundles of fibers, as they grow within the skin. Many people refer to these bundles as fiber balls, fuzz balls, or lint balls. The fibers are clearly hyphae-like structures, and yet, do not fall within the description of known hyphae or pseudohyphae. The fibers are most often white, but are also consistently seen as blue, black, and rarely red. These fibers exhibit a high degree of autofluorescence and are not textile derived. 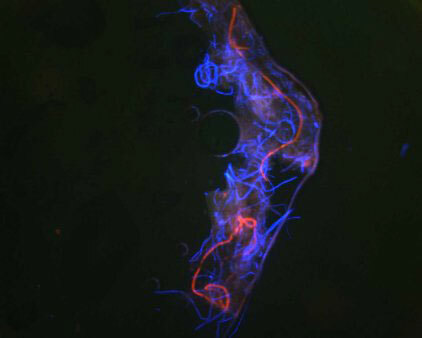 Fig 3. below shows striking autofluorescence of fibers from the skin lesion on the child’s lip. Nothing was added to skin sample, except Gel/Mount mounting media and coverslip. Image is an overlay of red and blue images. Imaging was done using an Olympus Provis Microscope which employs standard wavelengths for rhodamine (Excitation 550 nm/ Emission/565 nm ) and Fluoroscein/alexa 488 (Excitation 494 nm/Emission 519nm).